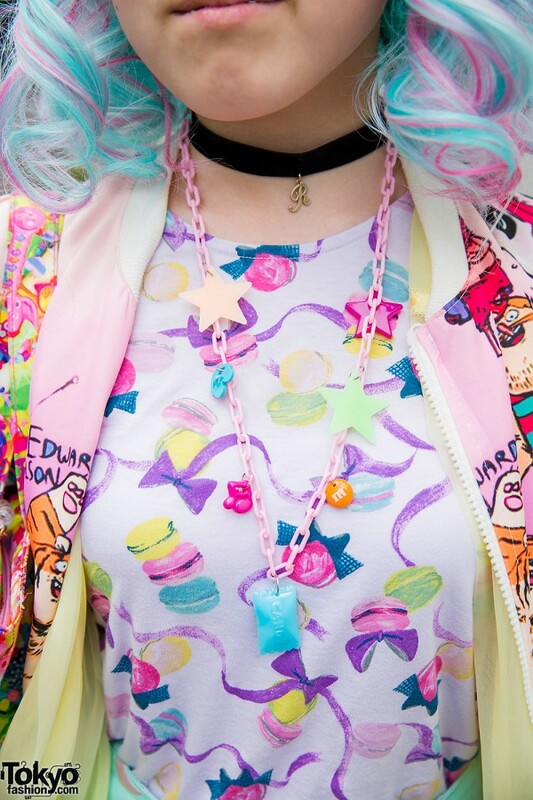 Her cartoon print jacket was bought on the internet, and worn over a Kinji negligee and Uniqlo macaron print top. 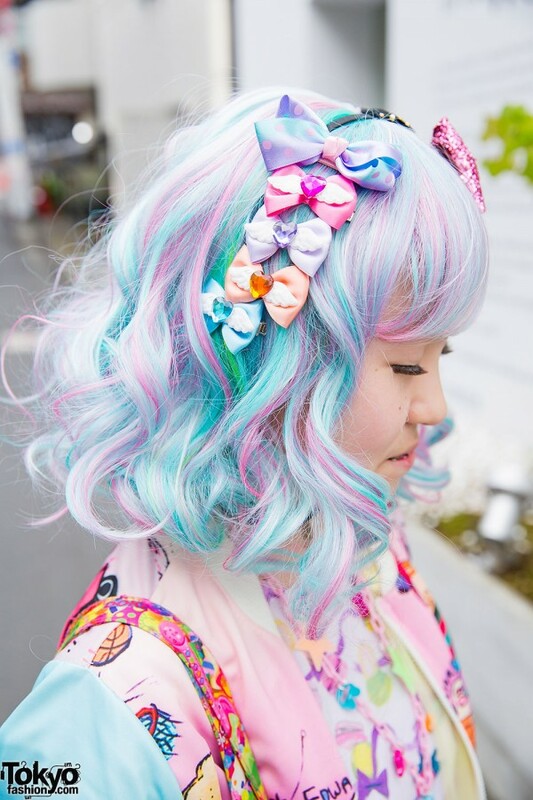 Her lace-up shorts are Milklim. 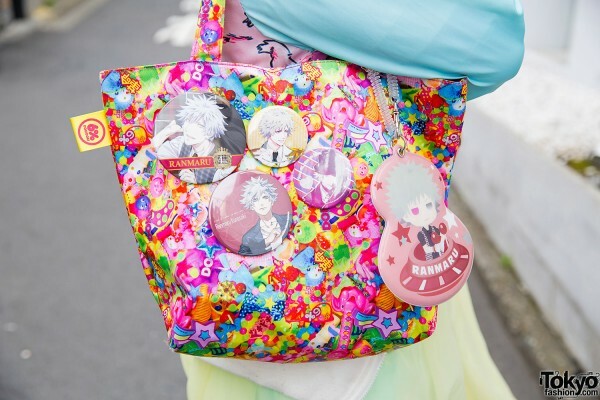 Her colorful bag is from 6%DokiDoki, her silver studded sandals are Yosuke U.S.A., and her socks are Swimmer. 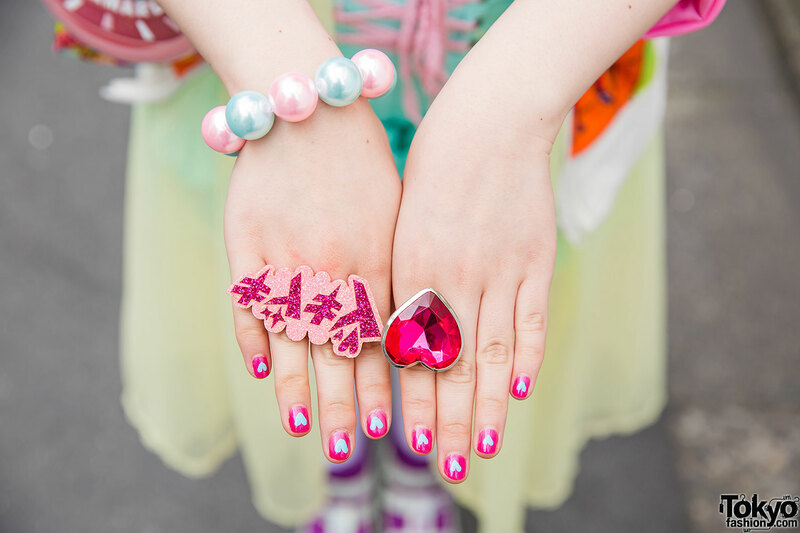 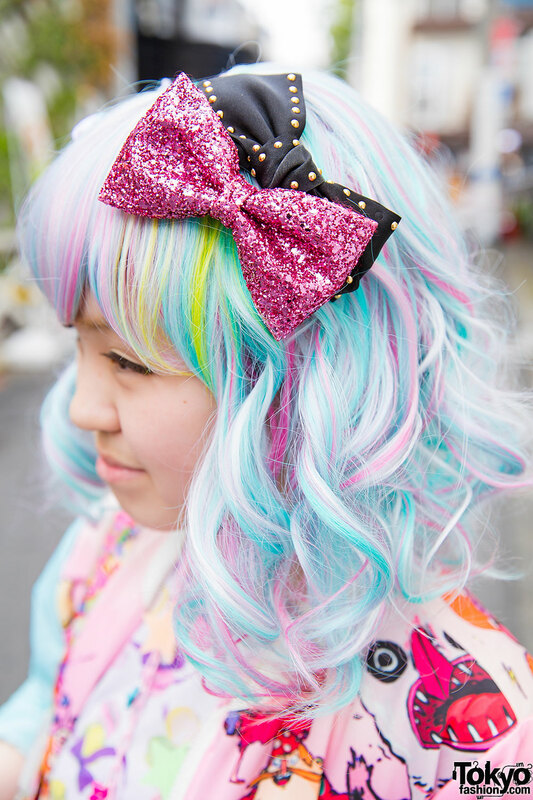 She accessorized with hair bows and plastic jewelry from 6%DokiDoki and Romantic Standard. 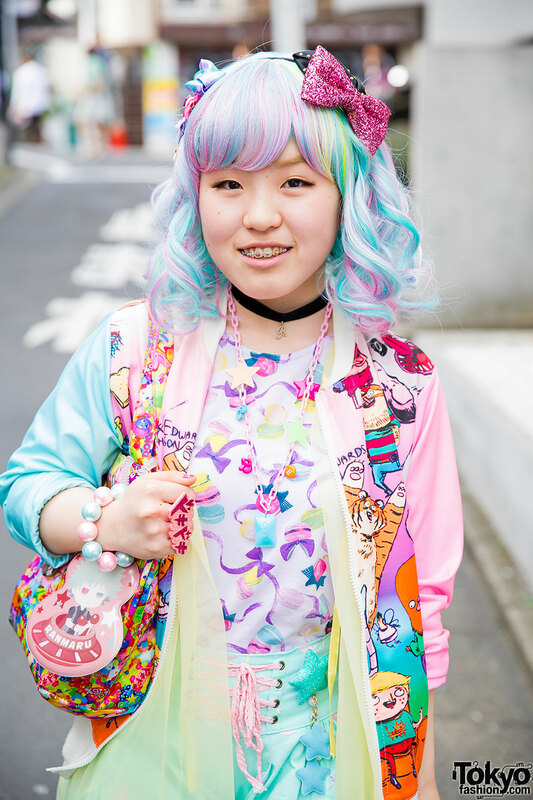 Nodoka told us Nile Perch and 6%DOKIDOKI are her favorite shops while vocaloid and anisong are her favorite music. Brands: 6%DokiDoki, Kinji, Romantic Standard, UNIQLO, Yosuke, Yosuke U.S.A.